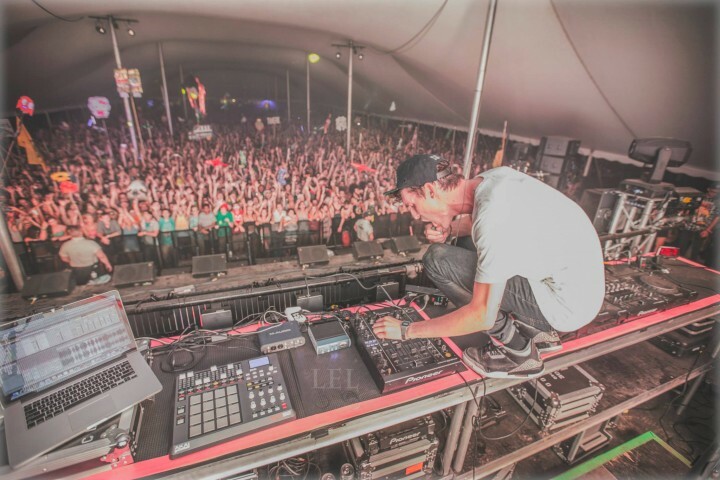 On the heels of his first headlining “Rebel Era” tour, 23-year-old producer and performer Grant Kwiecinski — a Michigan native better known as GRiZ — will hit the road again this spring for a 20+ date tour. Dubbed the “Power in Numbers” tour, GRiZ will be joined by Pretty Lights Music’s Michal Menert on most dates. The tour kicks off on April 3 in Marquette, Mich. and wraps up in New Braunfels, Tex. on May 3. Shows along the way will include GRiZ’s own dazzling light production and new original music featuring his unique blend of electro-funk, old-school hip-hop, electro swing, and live saxophone. Before the spring tour, GRiZ will perform at the BUKU Music + Art Project in New Orleans and play a five-day run in Canada. Thurs. April 3 – Marquette, Mich.
Fri., April 4 – Fargo, N.D.
Tues., April 8 – Lincoln, Neb. Thurs., April 10 – Milwaukee, Wis.
Fri., April 11 – Grand Rapids, Mich.
Tues, April 29 – Fayetteville, Ark. Wed., April 30 – Columbia, Mo. Thurs., May 1 – Tulsa, Okla.